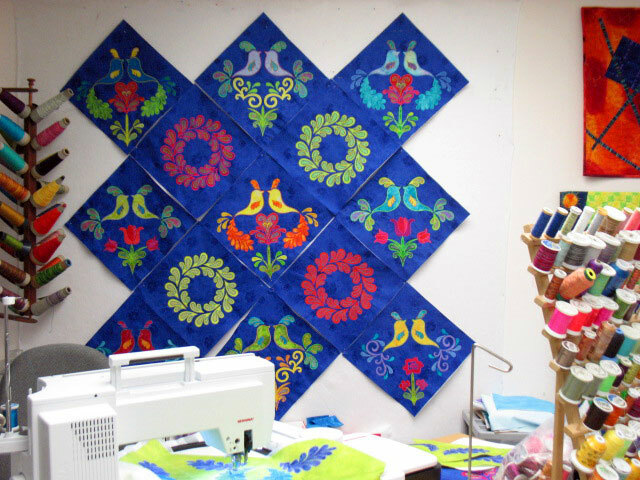 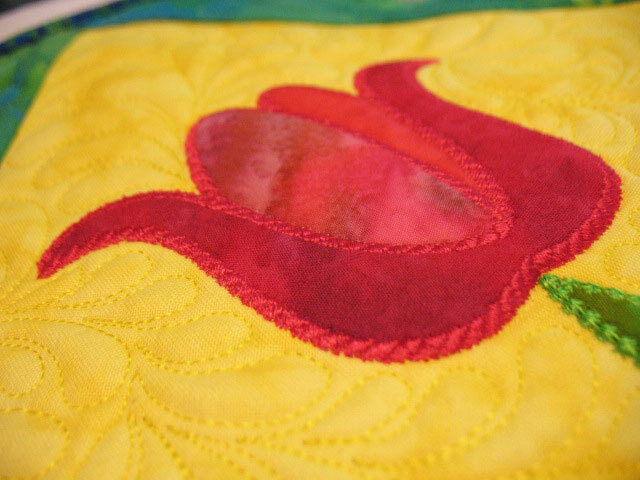 I am curious how you feel your eye is being drawn – is it to the machine embroidery or to the free-motion quilting? 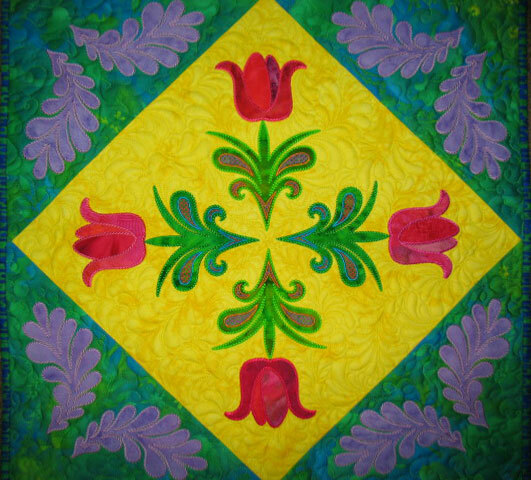 That is just a simple loop-d-loop design but sometimes it can add a wonderfully simplistic but fanciful look to a quilt. 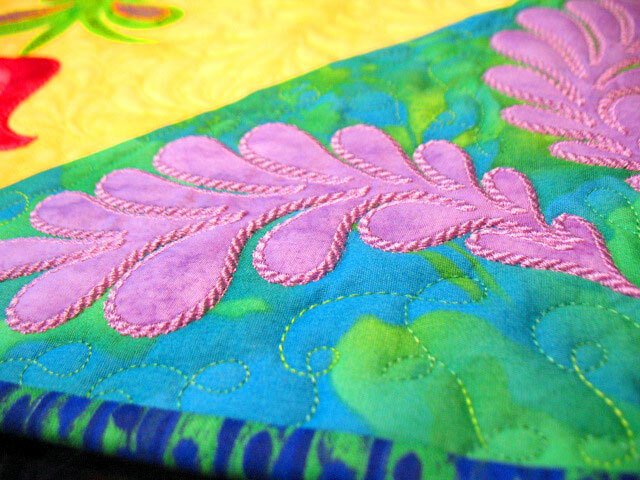 I used a YLI Variations thread called “Grass” for that section and it is one of my favorite threads for quilting. 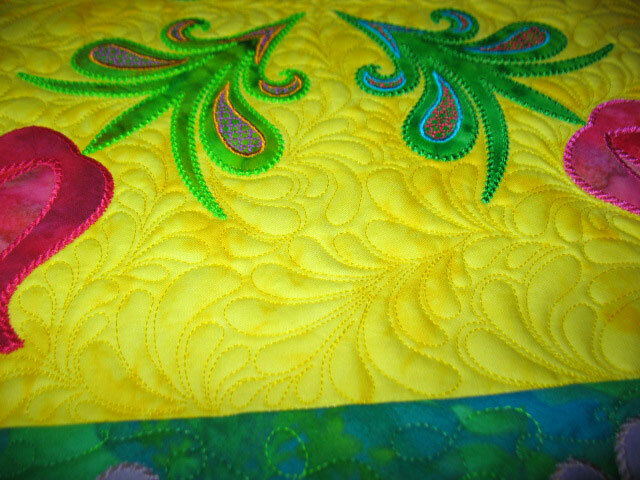 This last shot of the feathers will give you a sense of the ” faux-trapunto” effect this machine embroidered applique can lend to a quilt. 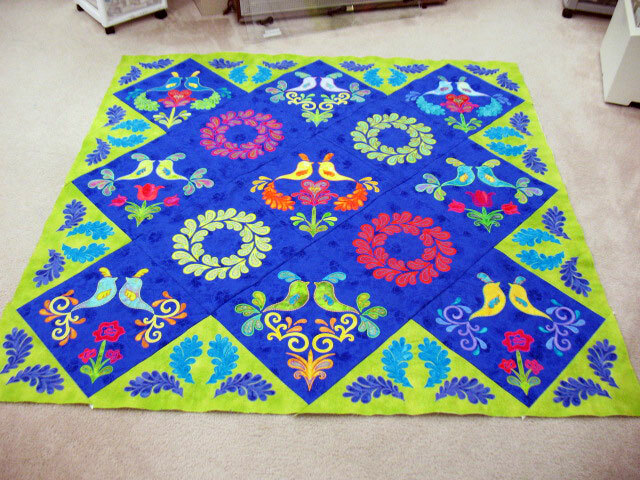 There is a line of stitching in Superior Threads Monofilament Thread, (aka invisible thread) that outlines the stitching that finishes the feather edges, but the outline (that you can’t see) is the only quilting done on the feathers. 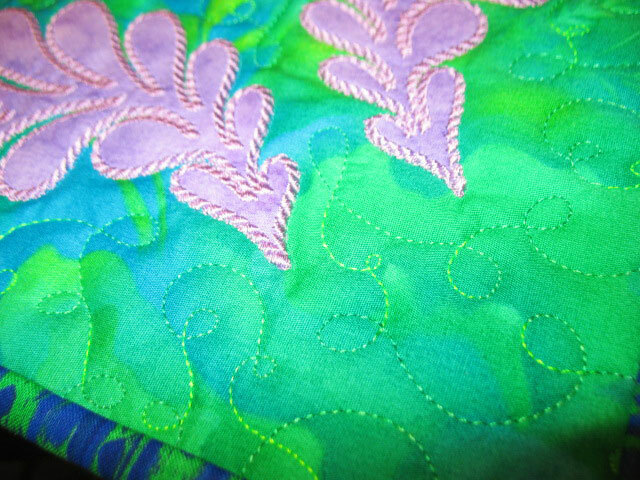 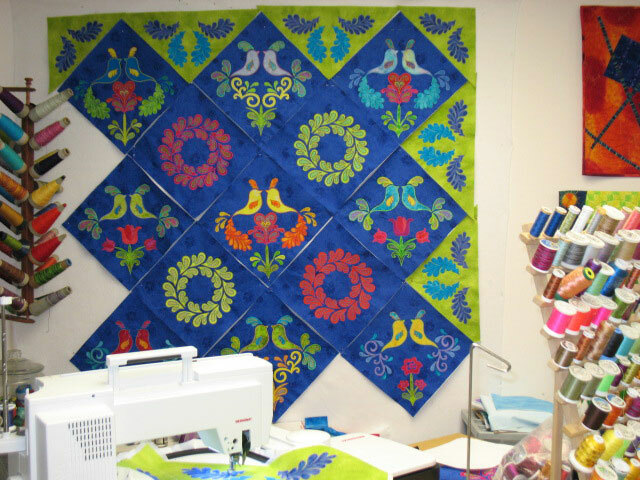 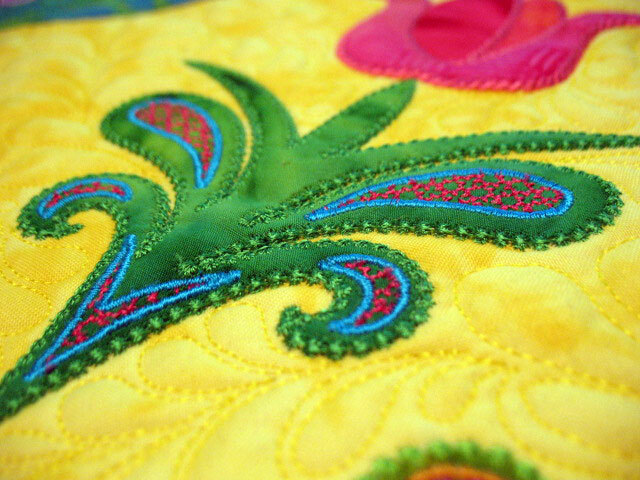 All of the fanci-schmancy thread work that you see on this quilt is the machine embroidered applique! 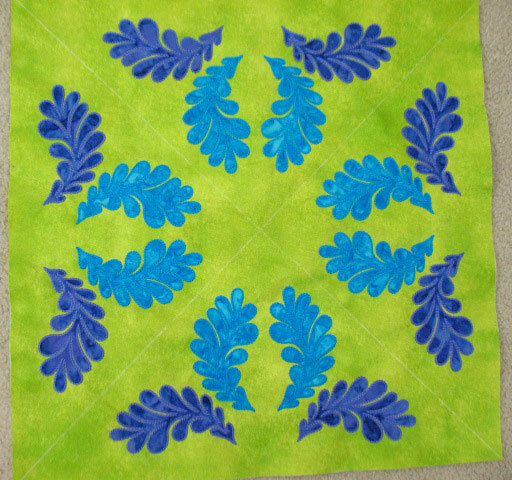 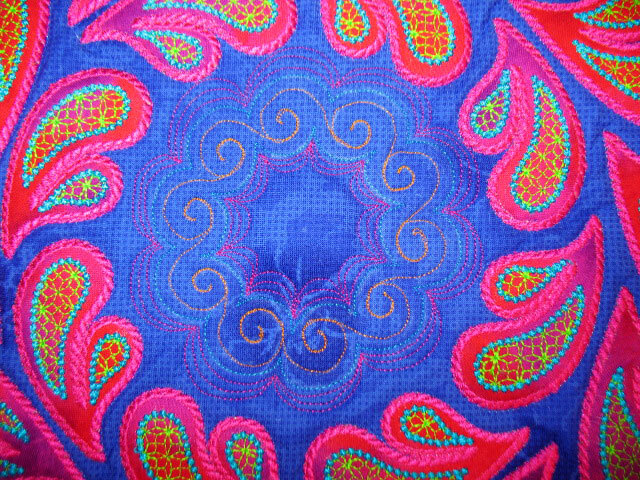 This wall hanging was donated to the Asheville Quilt Guild small quilt auction to raise money for community quilt supplies. 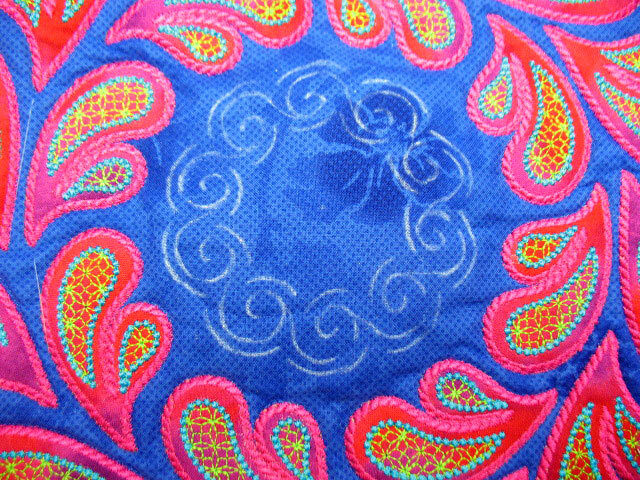 If you’d like it, you can bid on it during the auction on the last weekend of September 2012.